Here was visited for the first time. Are you myoce always written on BYJ South Korea official site? Korea official site. I'm sorry if differing. I also am managing the site and the blog of "Dearest BYJ", and it writes it every day. When the blog of bb was found, it knew your blog. It is very glad to find the name. Moreover, I will visit. Thank you. Oh it is nice to see you coming to my blog !!! I remember your artwork very well. My favorite is the TWSSG orchestra you made, with BYJ playing the violin. I also admire the cut out, the sugar decorations and many more clay figures of YJ from Scandal,100 days and more...I also like your BYJ dolls. Very happy that you visited here, please come again. Have a wonderful New Year, dear Baemincoco !! I decide to display English in one's site. Because the English is not the left side of the stage, I can use an interpreter, but I please permit it it when a meaning does not go. Yong Joon seems to come to Guam. I pray for that he can take the rest in Guam. 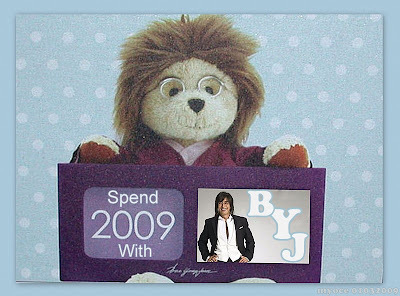 It is very beautiful...I like BYJ's picture in front...like underwater. Thank you for telling me about it ! BYJ is now home again in Korea. I hope he is healthy and well, and will attend the wedding party...so we can see him again.